Not every house has a dedicated office space. In our small farm house, my office is also a linen closet, craft room and storage area. As it’s such a multi-purpose room, it makes it exceedingly difficult to keep uncluttered and functional. It’s also not a very big space either so I’m constantly rearranging things to try and make the space work. Rather than tackling the entire room all at once, I thought I’d focus on one area and make it work. An entirely new storage system would have been way too expensive, so instead I concentrated on my office/craft space. 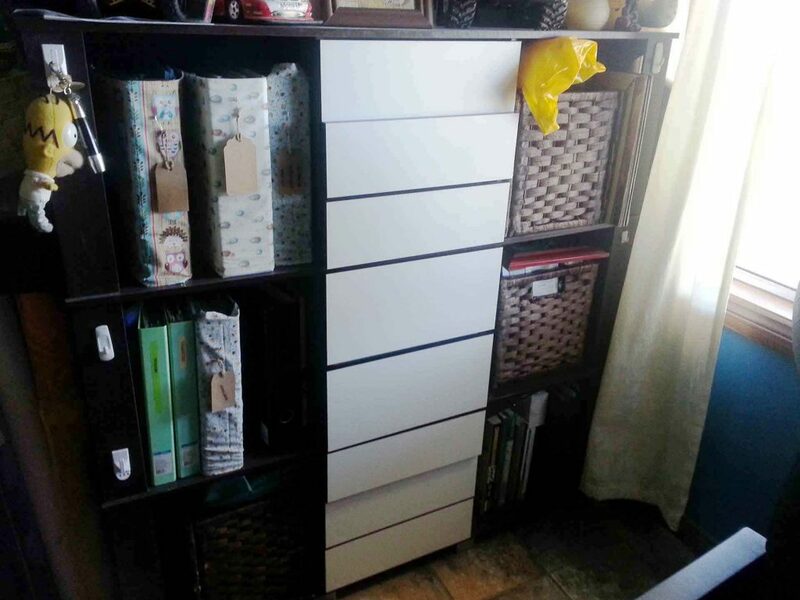 I had an Ikea bookcase in this room that I could reuse, so I had my very handy tradie partner create some drawers through the centre so I could store my stationary and craft supplies. Even if you don’t have a tradie around to make some drawers for you, it’s relatively straight forward to do. You just need some drawer runners, and the material to make the draw itself. Your local hardware store can even cut the pieces of timber needed for the draws for you. But if it’s too daunting a task, you could just use baskets instead. We used an inexpensive white melamine material for the drawers, and then left the front of the drawer plain white as I wanted to decorate them myself. This was the fun part of this project. I decorated each of the drawer fronts in different styles and textures using what I had lying around. I love how it turned out. It’s unique, thrifty and I love how it makes the space feel. I’m still working on the other parts of the room and need to sort out heaps of paperwork (this has been one of the main reasons I want to try and paperless where I can). So even though I haven’t quite finished my multi-purpose room, I at least have a usable office/craft space. So, if you frustrated with a space in your home, try looking at the furniture you already have and change it up. It may just need a new coat of paint or a big of rejigging. 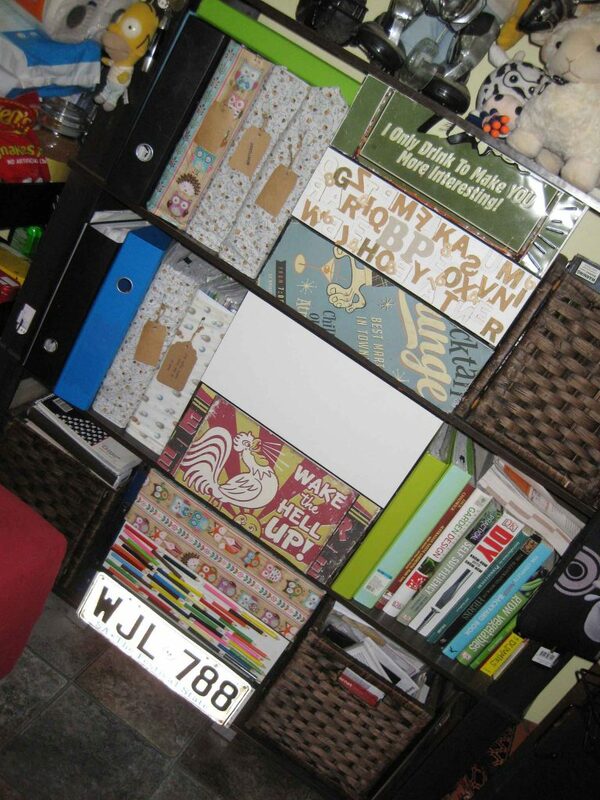 A dresser can become a vanity, hallway table or tv cupboard (check out Em’s upcycle project here). Sometimes thinking outside the box and upcycling what you have can really change the space. If you’ve got a great upcycling project which has made your space more functional, let us know what you’ve done in the comments below. We’d love to hear more ideas.